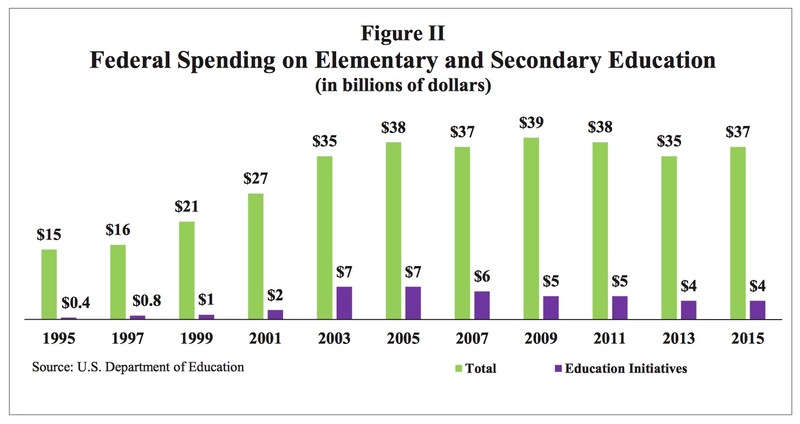 Federal funding for elementary and secondary education more than doubled from $15 billion in 1995 to $35 billion in 2003, and education initiative funding more than doubled from $2 billion in 2001 to $7 billion in 2003. Education initiative spending peaked at 20 percent of total federal spending on elementary and secondary education and dropped to 10 percent by 2015. 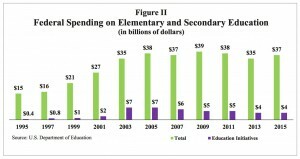 Both overall funding for elementary and secondary education, as well as spending on education initiatives, began to drop after 2005 due to factors such as the Great Recession of 2007. No Child Left Behind’s reliance on one-size- ts-all testing, labeling and sanctioning schools undermined many education reform efforts. As a result, many schools, particularly those serving low-income students, have become little more than test-preparation programs. For notes and references see full Issue Brief pdf, which includes additional analysis. 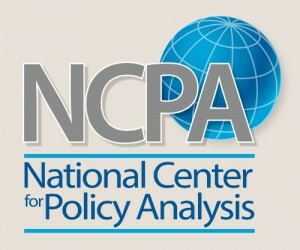 NCPA page with “Four Failed Federal Education Reforms” intro • Four-page Issue Brief PDF here. “Broken Promises: What the Federal Government Can Do To Improve American Education,” (Brookings Institution, March 1, 2000) is itself 17 years old, and begins with a valuable survey of federal involvement in K-12 education. Brookings is the oldest of public policy think tanks, and known as center or center-left. The article’s authors note that for most of U.S. history, education wasn’t seen as a federal role, and later federal officials just collected and reported education data from the states. The Eisenhower Administration in 1958, in response to the Soviet’s launch of Sputnik, began federal funding for science education on national security grounds. Federal government responsibilities in education have always been limited. The word “education” does not even appear in the U.S. Constitution. States and local school districts have always made the day-to-day decisions about instruction, teachers, textbooks, and the like. For most of the nation’s history, Washington confined itself to collecting data on school systems and disseminating information on the progress of education. Until 1965, when the Elementary and Secondary Education Act was passed, federal support for K-12 education was minimal. Today the federal government foots only about 7 percent of the nation’s K-12 education bill, and its share has never exceeded 10 percent. The public’s desire to improve public schools, though laudable, does not justify expanding the federal government’s role in education. There is scant evidence that existing federal programs are accomplishing their goals; indeed, most evaluations of the major federal categorical programs suggest that they are failing to make a dent in the problems they were designed to solve. Even Head Start, probably the most popular federal initiative, has been unable to close the large gaps in achievement between poor children and their advantaged peers. Yet Congress has been consistently unwilling to overhaul or discontinue any education program, regardless of its lack of effectiveness. Every federal program can mobilize a devoted constituency on its behalf, and even the smallest programs have kept their federal funds flowing. The Public Choice perspective is this dynamic of beneficiaries of current federal programs (though who administrate the program at the federal, state, and school district level, and those schools and teachers who receive the grants), who have strong motivations to lobby for keeping the programs going, and the lack of motivation or even information that the wider audiences of other teachers, students, parents, or taxpayers have to advocate or even know about alternatives that could better serve students. Before launching bold education initiatives, the federal government should follow a simple rule: improve what it does now before attempting anything new. Even then, Washington should never impose new programs on local authorities without clear evidence that the proposed intervention will improve children’s education. The two most important federal categorical programs—special education and Title I—need to be overhauled. Both could be changed by the president and Congress in ways that would help the children who are their intended beneficiaries. The Obama administration has offered states the chance to waive some requirements of the No Child Left Behind Act in recognition that parts of the law are dated. States are required, however, to make specific reforms in exchange for increased flexibility. The Internet is full for pro and anti Common Core posts and websites, offering a challenge for students to figure out which scholars and organizations are reliable for debate research and cases. But after seeing the effects of these reforms on students and teachers, Ravitch changed her mind and wrote about her conversion. The book helped start an anti-reform movement of which she has been the titular leader, and which has grown significantly among parents, educators, advocates and others. Now she has updated the book — and changed at least one position she had when she wrote the first edition. 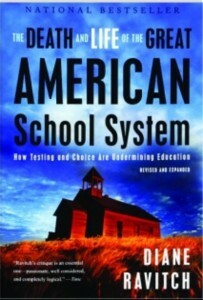 Here is a chapter by chapter study guide (pdf) for The Death and Life of the Great American School System (not sure which edition). Here is Amazon link to latest edition, with “Look Inside” feature. And it seems clear from the title of Ravitch’s 2014 book that she is skeptical of some proposed reforms: Reign of Error: The Hoax of the Privatization Movement and the Danger to America’s Public Schools (Vintage; Reprint edition (August 26, 2014)). Rural poverty in China, India, Africa, and Latin America is a modern tragedy. Deep poverty seems understandable in 1800 or 1900, but how could so many billions remain poor by 2000 or 2015? Borders prevent most migration from poor to wealthy countries, but rural migrants can still improve their lives migrating to cities, edge cities (and “shanty towns”) in their own countries. In this multimedia presentation, Doug Saunders and photographer Sun Shaoguang take you inside Liu Gong Li, the haphazard, improvised neighbourhood on the edge of Chongqing that opens the first chapter of Arrival City, and introduce you to some of the book’s personalities. 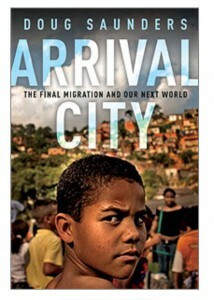 Arrival City on Amazon (website book link seems broken). The low wages reports at the Chinese shoe supplier for Ivanka Trump (see previous post: “China’s Factory Workers: Exploitation or Escape from Rural Poverty?“), likely reflect the income disparities even among migrant workers. “Human capital” refers to the skills of individual workers. Growing up in deep poverty in rural China today, as through all time, does not equip young people with skills. Only with they migrate to factory towns or edge cities, or when factories relocate to rural areas, are they able to learn skills to earn higher wages. The Paulson Institute’s “How to Better Support China’s Migrant Population,” (November 11, 2015) reports on China’s floating population and the government reforms that would improve their lives. Institutional reform is the key to development. Globalization (access to global capital and markets) can expand opportunities, but only if the local legal systems allow it. Their explanation for why some countries are poor while others are prosperous has institutional foundations: it is the quality of the institutions underlying economic and political life that influences wealth accumulation. The authors create a sharp distinction between inclusive institutions, which encourage productivity, education, technical progress, and extractive institutions, which only take wealth away from one part of the society, for the benefit of the other. It is the former type of institutions that support the creation of wealth inside of a nation even beyond the world knowledge frontier. When the country is playing at catch-up growth, extractive institution might see it through to some stage of development, but it will inevitably falter, as true competition and an appropriate supply of public goods comes from inclusive institutions. “U.S. Presses China to Free Activists Scrutinizing Ivanka Trump Shoe Factory,” (New York Times, June 6, 2017) reports on labor activists detained by Chinese authorities and U.S. State Department pressure for their release. 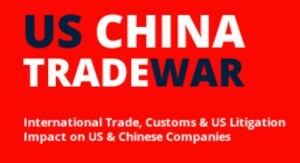 U.S. firms purchasing shoes, clothes, and other goods made in China employ third-party certification agencies to insure working conditions are adequate. Wages in Manufacturing in China increased to 59470 CNY/Year in 2016 from 55324 CNY/Year in 2015. So average annual factory wages rose to $8.920 from $8,299. A bar chart shows the astonishing increase in average factory wage rates, with: 41650 CNY ($6,247) in 2012, 26559 CNY ($3,983) in 2009. 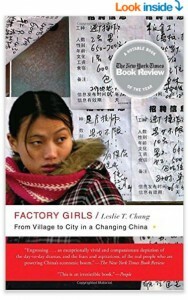 Factory Girls: From Village to City in a Changing China, was published in 2009, so it’s sobering stories were of young migrant women working long hours early well below 2009 average wages. The U.S. bureau of labor statistics calculates average Chinese factory wages at $1.60 an hour in 2009. Workers at a factory in China used by the company that makes clothing for Ivanka Trump’s fashion line and other brands worked nearly 60 hours a week to earn wages of little more than $62 a week, according to a factory audit released Monday. The factory’s workers made between 1,879 and 2,088 yuan a month, or roughly $255 to $283, which would be below minimum wage in some parts of China. The average manufacturing employee in urban China made twice as much money as the factory’s workers, or roughly 4,280 yuan a month, according to national data from 2014. The average take-home pay of migrant workers, who are among China’s lowest paid, is often less than half the overall average wage in China’s major cities. A 2015 survey of rural migrant workers showed that their average monthly wage was just 3,072 yuan. The highest-paid sectors for migrant workers were transport and logistics (3,553 yuan per month) and construction (3,508 yuan per month), while those employed in household services, sales, hotel and catering services were the lowest paid, earning just over 2,600 yuan per month. Leslie Chang, the author of Factory Girls: From Village to City in a Changing China helps put these very low wages in context in her 2012 TED talk (below). Chinese factory conditions and wages are usually a significant improvement from life in the rural villages workers migrate from. [CHANG:] … All of these speakers, by the way, are young women 18 or 19 years old. So I spent two years getting to know assembly line workers like these in the South China factory city called Dong Wan [phonetic]. Certain subjects came up over and over: How much money they made; what kind of husband they hoped to marry; whether they should jump to another factory, or stay where they were. Other subjects came up almost never, including living conditions that to me looked close to prison life. Ten or fifteen workers in one room, 50 people sharing a single bathroom, days and nights ruled by the factory clock. Everyone they knew lived in similar circumstances, and it was still better than the dormitories and homes of rural China. The post’s comments include a heated debate over Chang’s talk and the ethics of wages and conditions for Chinese workers making goods for U.S. consumers. But the newly released study, based partly on an analysis of high-resolution photographs, found that China had gained only about 12,741 square miles of forest over the same period, an area roughly the size of Maryland. And it found that much of the government’s reported new forests were actually just collections of shrubs. findings were consistent with recent research suggesting that China’s forest resources have not significantly increased despite the government’s extensive tree-planting campaign or its efforts to halt commercial logging in forests. The article notes there are some 800 different definitions for forest, so much room for confusion in trying to measure forest cover changes. Blown from northern deserts and degraded drylands, it coats roads, clogs railways and desiccates pastures. According to Greenpeace, just 2% of China’s original forests are intact. Decades of rampant logging and overgrazing have speeded the degradation of its land and soil; over a quarter of its territory is now covered in sand. (Maybe all this sand can help address another problem noted by the New York Times: “The World’s Disappearing Sand,” (June 23, 2016), and The New Yorker, “The World is Running Out of Sand,” (May 29, 2017)). Just 15% of trees planted on China’s drylands since 1949 survive today, estimates Cao Shixiong of Beijing Forestry University. Many died of age, as those grown from cuttings (as most are) only have a lifespan of around four decades. But many were simply unsuited to the soil. Monocultures are prone to disease. In Ningxia, in northwest China, a pest wiped out 1 billion poplar trees in 2000—two decades of planting efforts. In arid areas trees may even aggravate desertification by depleting groundwater and killing grasses that bind the soil. Economists are not surprised that government forest plans failed since most other centrally-planned industrial and agricultural plans failed as well. Similar mega-forest plans have failed in Africa, though with some emerging successes. The “Great Green Wall” Didn’t Stop Desertification, but it Evolved Into Something That Might, (The Smithsonian, August 23, 2016) tells of the plan was to plant a forest from Africa’s west to east to stop expanding deserts. Over two years traveling through Burkina Faso and Niger, they uncovered a remarkable metamorphosis. Hundreds of thousands of farmers had embraced ingenious modifications of traditional agriculture practices, transforming large swaths into productive land, improving food and fuel production for about 3 million people. Innovative farmers in Burkina Faso had adapted years earlier by necessity. They built zai, a grid of deep planting pits across rock-hard plots of land that enhanced water infiltration and retention during dry periods. They built stone barriers around fields to contain runoff and increase infiltration from rain. In Niger, Reij and Tappan discovered what has become a central part of the new Great Green Wall campaign: farmer-managed natural regeneration, a middle ground between clearing the land and letting it go wild. Farmers in the Sahel had learned from French colonists to clear land for agriculture and keep crops separate from trees. Under French colonial law and new laws that countries adopted after independence, any trees on a farmer’s property belonged to the government. Farmers who cut down a tree for fuel would be threatened with jail. The idea was to preserve forests; it had the opposite effect. But over decades without the shelter of trees, the topsoil dried up and blew away. Rainfall ran off instead of soaking into cropland. When Reij arrived in Africa, crop yields were less than 400 pounds per acre (compared to 5,600 pounds per acre in the United States) and water levels in wells were dropping by three feet per year. Africa’s green wall lessons can apply in China. Local farmers and land owners have strong incentives to discover ways to maintain and restore grasslands and forests. The MSU scientists examined the big-picture view of NASA’s Moderate Resolution Imaging Spectroradiometer annual Vegetation Continuous Fields tree cover product, along with high spatial resolution imagery available in Google Earth. Then they combined data at different scales to correlate the status of the forests with the implementation of China’s program. And, as the Chinese government has contended, the initiative is working and forests are recovering, with about 1.6 percent, or nearly 61,000 square miles, of China’s territory seeing a significant gain in tree cover. In comparison, 0.38 percent, or 14,400 square miles, experienced significant loss. By 2000, China developed the Natural Forest Conservation Program and the Sloping Land Conversion Program, $50 billion projects aimed at reducing natural disaster risks by restoring forest and grassland, while also improving life conditions for 120 million poverty-stricken farmers. But recognizing problems is a far cry from solving them. Central plans face challenges, even when they can pour $100 billion into planting trees. What trees and where? Who will water the trees? Government ownership of all the means of production fails because it cannot answer a simple question: Who should stay up all night with a sick cow? In capitalism the answer is clear: the owner. In socialism the answer is not clear, and too often it is: no one. Market economies with property rights and rule of law make clear who owns cows, cars, farmland, and trees. Across the U.S., privately-owned, state-owned, and federally-owned forests are managed differently. “Divided Lands: State vs. Federal Management in the West,” (March 3, 2015) contrasts state management where forest revenue often supports public schools, with federal forests. Alston Chase’s classic Playing God at Yellowstone focuses on incentives and park management challenges. Forest management benefits from market-generated information as well as property ownership-generated incentives. The division of labor and expanding scope of trade allow people and companies to gain specialized knowledge and skills to better produce goods and services. In modern society, we benefit each day from a wide range of goods that we would have no idea how to produce. For example, we benefit the mobility cars provide without knowing how to build or repair them (and benefit from trains, buses, Uber, and Lyft, even if we don’t know how to drive). We consume a wide range of foods without knowing how to farm or even much about cooking. People and firms that have this knowhow can be nearby or far away, which allows us to focus on producing other goods and services. The knowledge problem follows from no single person or group having enough knowledge to produce all the goods and service they consume each day, week, or month. The “I, Pencil” story explains that no one in the world even knows how to make a pencil all the way from tree to writing. Here are three “I, Pencil” YouTube videos: One, Two, Three, and an NPR story/segment: “Trace The Remarkable History Of The Humble Pencil” (plus “I, Smartphone” video from 2012). F.A. Hayek’s famous journal article “The Use of Knowledge in Society,” (American Economics Review, 1945) takes a deeper look at how knowledge is divided around the world through international trade, mobilized by markets, with production coordinated by prices. Hayek offers the example of a copper ore mine flooded in Chile. Through the weeks after, reduced supplies of copper ore force copper refineries to scramble for other supplies, bidding up ore prices and encouraging other mines to expand production (usually with higher costs). Copper refiners dealing with these higher prices in turn raise their prices, so companies producing pots, pans, jumper cables with copper search for substitutes, and raise their prices to consumers. Next, millions of consumers find higher prices for copper pans in Target, Walmart, and higher prices for copper jumper cables at Autozone. Higher prices signal some consumer to buy substitute goods (aluminum pans or jumper cables), or to put off buying until later. …informally called the “Great Green Wall” — was designed to eventually plant nearly 90 million acres of new forest in a band stretching 2,800 miles across northern China. To be sure, trees have been planted, with millions of seeds dropped from airplanes and millions more small seedlings manually planted. But in an extensive analysis of such “afforestation” efforts published last year in Earth Science Reviews, Beijing Forestry University scientist Shixiong Cao and five co-authors say that on-the-ground surveys have shown that, over time, as many as 85 percent of the plantings fail. 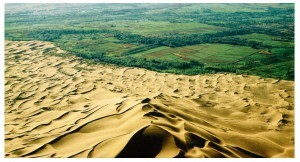 In an effort to combat the loss of its grassland to the Gobi Desert, the Chinese Government started the Three-North Shelterbelt Project, also known as the Great Green Wall in 1978. We are representing auto parts companies, which have warned the US International Trade Commission (“ITC”) if they go affirmative and find injury in the case, in all probability the companies will close their US operations and move offshore. The US producers bringing the petition want to force auto parts companies to buy their commodity mechanical tubing, which is sold to the oil & gas industry and goes down a hole. The auto industry needs made to order mechanical tubing as their raw material because of the advanced designs and safety requirements in the United States. In the auto industry, cold-drawn mechanical tubing is used to make stabilizer bars, shock absorbers and struts, trailer suspensions, axle shafts, half shells, spacers, steering columns and gears. Tubes also help reduce the number of welds, saving manufacturers time and money, while strengthening the structure and reducing overall vehicle weight. As of April 19, the Commerce Department has 152 anti-dumping and countervailing duty orders in place on steel from 32 countries. Twenty-eight of the 152 orders, or 18 percent, are on steel products from China. American steel producers, associations, and lobbyists have added The steel orders represent almost 40 percent of all anti-dumping and countervailing duty orders in place. There are also 25 investigations underway for steel products. The US has launched a national security investigation into imports of aluminium, warning that its capacity to domestically produce the metal needed for fighter jets and armour plating has collapsed in recent years. Steel imports are no more a threat to U.S. national security than imported sugar or lumber or tulips. While it’s true that steel imports have risen to about a quarter of U.S. consumption, domestic steel output remains robust. During the past decade, according to the World Steel Association, annual output at U.S. steel mills has been trending slowly downward but it was still an impressive 78 million tons in 2016. That ranks the United States as the world’s fourth largest steel producer. The 2001 report found that the Department of Defense’s annual requirements for steel “comprise less than 0.3 percent of the industry’s output by weight (i.e., 325,000 net tons of finished steel per year).” It also found that the steel that was imported came mostly from a diverse and “safe” list of foreign suppliers, such as Canada, Mexico, and Brazil. Higher tariffs on imported steel and aluminum will drive prices even higher and further hurt U.S. manufacturers, especially those using imported steel and aluminum in the goods they export to the world. In 1994, BMW opened a plant in Spartanburg, South Carolina. Having invested $7.8 billion in the plant, BMW now boasts that it is the company’s largest single facility in the world. And it has spurred investments by a range of suppliers throughout the state. The cars made in Spartanburg there include the EX3 and X5 Sports Activity Vehicle, and the X4 and X6 Sports Activity Coupe. Last year, Spartanburg produced a record 411,171 vehicles, about 34,000 per month. According to BMW, it sells about 26,000 cars per month in the U.S. Now, not all the cars BMW sells in the U.S. are made here. Some are shipped in from overseas. And many of the vehicles made in South Carolina—287,700 last year, or 70 percent—are exported to points around the world. IAMA , the trade group for Asian automakers in the U.S., said its members last year produced 4.6 million cars between them, equal to 40 percent of all U.S. vehicle production, at some 300 facilities. Duties on steel products from China, Brazil, India, Japan and other countries have contributed to the U.S. benchmark hot-rolled coil index rising more than 60% this year to $615 per ton, after falling 33% last year. In Europe, the benchmark index is up by 34%. Some manufacturers are pushing back. In a letter to the Department of Commerce requesting an exemption, Steelcase Inc. Chief Executive James Keane said a tariff on a special kind of Japanese steel could cost one of his subsidiaries $4 million to $5 million a year. Student answers focused on his discussion of business and how he had made money in retail. Mariotti was astonished students remembered details from a talk months earlier of his business buying wholesale, marketing and distribution, sales and income, etc. From there Mariotti shifted his classroom teaching to weaving course materials with practical instruction on starting and running a business. Through the following years Mariotti developed NFTE into a nationwide entrepreneurship program that has helped hundreds of thousands improve reading and math skills as they develop business enterprises. Here is a 2010 BBC News segment on Steve Mariotti and NFTE. Here is page on Ten9Eight, a documentary on teens competing. Here is trailer on YouTube. Young people growing up in low-income households are motivated to find and follow paths out of poverty. Teachers can encourage studying in classes through high school and then college. But many struggle to see success down that path. Opportunities to earn income, even as elementary school students, can serve as learning experiences. A number of education organizations offer opportunities for students to learn and earn. The Children’s Business Fair opens doors for students to become entrepreneurs and gain enterprise experience. Junior Achievement, another nonprofit, has long worked with high schools to help students gain business and enterprise experience. Where should those skills be taught? Edward Grenier, president of Junior Achievement of Greater Washington, the local chapter of a national nonprofit organization that teaches financial literacy and entre­pre­neur­ship to students in kindergarten through high school, argued that entrepreneurship education must move beyond the classroom. Learning practical business skills may seem too materialistic or distractions from mathematics, literature, civics, and history. But poverty is a distraction too, and early work opportunities can provide new motivations to pursue a solid education. 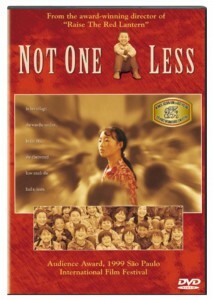 Consider the compelling movie of rural China, Not One Less (link to Amazon page). Like Horatio Alger novels based on true stories of city and rural poverty in the U.S., Not One Less gives a glimpse of real-world city and rural poverty in China. 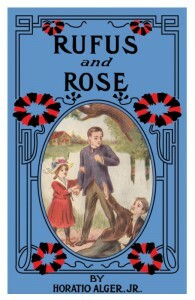 The kid that runs away to the city in the movie Not One Less seems a lot like the kids who ran away to New York City in the mid to late 1800s as told in dozens of Horatio Alger novels. These entertaining and educational stories are available free online. Though frowned upon as unrealistic by critics, it turns out many of Alger’s characters and events reflect true stories from personal interviews and reports in the New York Times. Some sixty thousand children lived and worked on the streets of New York selling newspapers, smashing (carrying) luggage, selling apples, delivering messages, working retail, and dozens of other low-paying tasks. Nonprofit organizations provided inexpensive housing and many were sent to live safer lives in the country. Still, over time these young “street arabs” gained job skills to raise their incomes. Alger’s “rags to riches” stories emphasize honesty, thrift, and saving, are the keys to success, along with getting an education and working hard. Poor children today in America’s cities and countrysides are better fed than street children of the late 1800s New York City. But in protecting children from employment, few in poor families have the opportunity to begin earning their way out of poverty until their teens or longer. Young people in middle-income and wealthy families on the other hand, participate in many organizations and activities that teach key life and job skills, from scouting to summer camps, speech and debate, volunteer work, and part-time business tasks for friends and relatives. Low-income children today lack many of the employment and income opportunities of children much poorer “enjoyed” in the 1800s. Blocking young people from income-earning, skill-building activities frustrates their natural urge to get ahead, as well as cuts off an avenue for gaining additional income for their family. And nearly everyone in the world was poor just a century ago. Nearly all children worked to help their families. Poverty is a problem, but so are regulations that prevent young people from working legally at jobs that are safe and within their abilities. Why have adults cleaning tables at restaurants, if children and young people could do the same work safely? We wouldn’t want children working ten, twelve or sixteen-hour days, as many did in the 1800s. But what about a four-hour day that comes with a free meal, after school at a nearby restaurant? Would that be the end of the world or the thin edge of the wedge to sending children back to dark and dangerous factories? Or might working in a neighborhood restaurant be both a learning and earning experience for young people? Poor people are migrating to the world’s cities in astounding numbers, embracing globalization despite the risks, and when the laws they encounter don’t work for them, they create their own. Wang Shuhan, from Wuhan, in central China’s Hubei Province, is only five-years-old yet he’s already an expert at operating building site machinery. The youngster was taught by his father Wang Xuebing, who videoed him calmly driving the digger around and using its scoop to pick up and move sand. According to Xuebing he regularly brings his son to work with him and gradually the youngster grew interested in the machine he operated.